This week on the web, Pinterest Place Pins generate more than 200 million place boards, Facebook acquires Whatsapp for $19 billion, and LinkedIn opens up its publishing platform to all users. Looks like the plot is indeed thickening in the inbound marketing world! 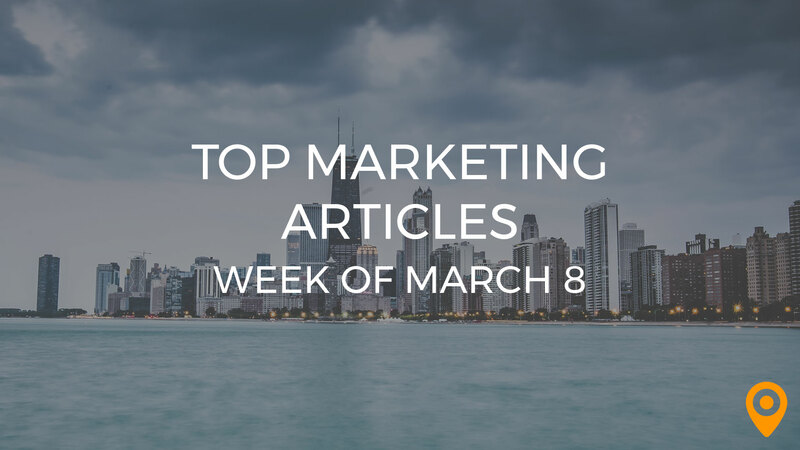 For now, settle in to this week’s hand-picked, top 25 inbound marketing articles. Enjoy the roundup! As an SEO, acquiring links is a robust aspect of improving a site’s online visibility. Do you know what it takes to find the best backlinks? Daniel Bianchini fills us in on what we should be looking for in link audits. What do you think influences a shopper’s purchasing decisions? The answer lies in the Zero Moment of Truth. Col Skinner of Profoundry provides a profound explanation of the zero moment of truth and how it relates to your business. Google’s previous search engine update certainly changed many marketers’ perspectives on the usefulness of keyword research. One such person believes that keywords have indeed lost relevance in SEO. Dave Collins elaborates on this enlightening claim. While some don’t agree in the power of keywords, others seek to find alternatives for more effective keyword research. For the time being, Brian Lang complies more than 60 keyword tools for you to use for your search optimization. It’s time for another round of Pinterest advice! If you haven’t been using Pinterest for your social media strategy, it’s not too late. Peg Fitzpatrick collects tips from avid Pinterest business experts in this grand article. We can agree that Google Plus is a powerful platform to socially build out your business. Make sure you maximize engagement on the platform to reach a wider audience! Solon Harmony Dolor shares a top article and infographic to skyrocket Google Plus engagement. While you shouldn’t compare a small business to top-level agencies, learning the differences between their respective social strategies can spark experimentation. LeadSift posts results from a report on tools Fortune 100 companies use to manage social media. The power in adding social media tools to our repertoire is in knowing how to use them. If you use Buffer, you may have much to gain by testing your content links, but you can also run into trouble notifying others of your content on Google Plus. Mike Alton brings clarity to the situation in a detailed guide. Local marketing isn’t just for print ads and newspaper columns. Online marketing has changed the game for the local business advertisers. Court Cunningham points out three key trends that are transforming local online promotion. Are you curious about learning to market your local business from the most elite small business owners? Bella Vasta will teach you everything you need to know about marketing your local business across the web. Loz James records an inside interview with Bella in a wonderful podcast. Local marketing is not very different from regular marketing. All you have to do is tailor your research and promotion to where your business is located. Digital Ford shows us the ins and outs of a successful local SEO strategy. Email marketing isn’t always about acquiring new customers. In reality, a large part of email campaigns is continually engaging your current customer base. Justin of Customer Dev Labs breaks down the process of interviewing customers on your service with cold emails. Understanding your customers certainly yields immense benefits for any business owner. 75% of email revenue comes from targeted email approach. In this article, Michael Barber shares his findings on the unexpected benefits of email marketing automation. With a little focus, you can transform your email marketing process into one worth envying. Ravi Yadav declares proven email practices to stimulate your ROI in 2014. The advantage of a mobile site over another can come from something as simple as loading times or as complex as design. What is your mobile advantage? James Williams highlights the importance of mobile in a thoughtful post. There are several ways you can optimize your mobile strategy as an integral part of your marketing. As mobile popularity continues to rise, you may want to consider the breadth of options you have at your fingertips. Janet Jaiswal provides a strong overview on the subject. In order to grow your audience and business, content marketing is a beneficial place to start. Still, to make the most of content marketing, you must master the art of the “content hack.” Here are 25 content hacking tips by Garrett Moon. Content marketing is not just about writing; it’s about optimizing that content to reach the most targeted audience. Jimmy Daly introduces marketers to a helpful guide to crafting content in a post-analytics world. When running a business, it’s imperative to ensure your content doesn’t remain in an echo chamber. Be ruthless with your content and edit it with a critical eye. Anna Francis proposes five copy editing tips to improve your copy. Producing notable content takes time and effort. In order to help you with your content marketing, we’ve added David Spark’s spectacular article on 13 proven content formulas for your business. Refine your conversion funnel by keeping your customers engaged every step of the way. Donald Macgregor presents a creative article on increasing customer buy-in throughout the buying cycle of a product. These days, the traditional marketer doesn’t stand a chance without the ability to comprehend computer code. Don’t worry, it’s a lot easier than you would think. Nonetheless, Jon Evans posts three reasons why internet marketers should learn to code. Product reviews are favorable in that they prove to your target customers that other people have used your product. Even so, does this prove product reviews assist in conversions? Darren Hunt answers this question and more in a detailed article. Whatever your presumptions about how word-of-mouth affects your business, online reputation is incredibly important. Stacy Firth tells us the perfect way to manage your business’s online representation. Reputation management is not just a task to be completed on a routine basis. Rather, it is an active part of your business marketing that many make the mistake of neglecting. Read the rest of David D. Menzies’s post for the full story.